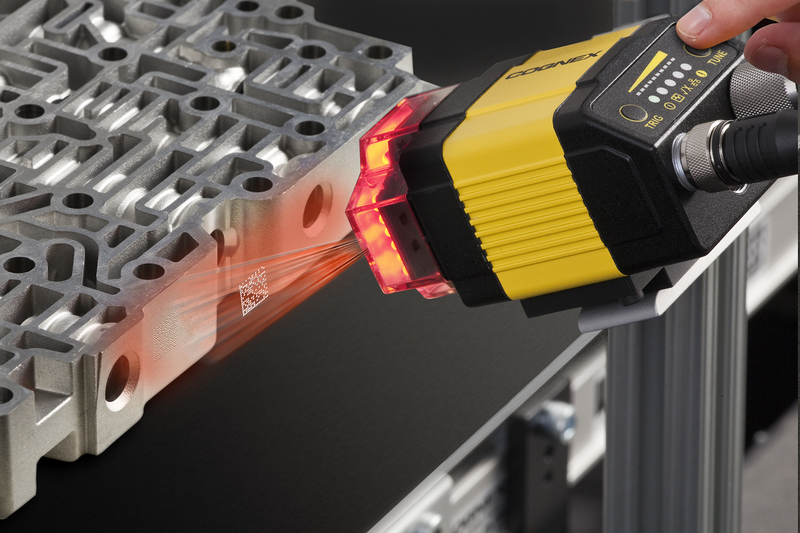 Cognex Corporation (NASDAQ: CGNX) today announced its most advanced fixed-mount industrial ID reader ever created—the DataMan® 300. The DataMan 300 is designed to handle the most difficult ID code-reading applications on even the highest speed lines. These new readers dramatically increase barcode read rates and speed with a new 1DMax+™ algorithm, which incorporates groundbreaking new “Hotbars™” technology. For 2-D matrix and difficult-to-read DPM (Direct Part Mark) codes, reading performance has also been significantly improved from a major upgrade of 2DMax™ to the 2DMax+™ algorithm. With the DataMan 300, set up and deployment is even easier than before, with modular, controllable lighting options and a unique intelligent tuning system. DataMan 300 series offers two models. The DataMan 300 provides standard resolution of 800x600 pixels and the DataMan 302 is the high resolution model at 1280x1024 pixels. The DataMan 302 is ideal for reading very small DPM codes on small components to ensure full part traceability—a trend for the automotive industry, for example. Strong-performing code-reading algorithms have been advanced, taking a quantum leap beyond the current best-in-class technology. 1DMax+ with patent-pending Hotbars technology is a breakthrough in image-based barcode reading. Invented by Cognex’s 31-year veteran Bill Silver, Hotbars uses texture to locate barcodes at any orientation, and then extracts high-resolution 1-D signals for decoding. With a solid mathematical foundation and meticulous assembly language programming, Hotbars combines superior signal fidelity with lightning speed, giving the next generation of Cognex DataMan readers unprecedented performance. The 2-DMax+ algorithm is also an upgrade from existing 2DMax technology offering tremendous enhancements in handling damaged codes at high line rates and poorly marked or extremely damaged codes. Both algorithms allow for the highest read rates possible. In another leap, the DataMan 300 series offers the flexibility of integrated and controllable modular lighting and optics. The user can purchase just one model and choose the appropriate lens for their required working distance and field of view. The controllable, field changeable lighting modules allow the user to create the best possible lighting for their part, ensuring optimal read rates. Because 2-D DPM code reading is inherently difficult due to the normal manufacturing processes that parts undergo, the DataMan 300 adds a new tuning feature to help form the best possible image of each part. This intelligent tuning technology automates the settings of the integrated lighting to find the optimal light setup for the part making the DataMan 300 the most advanced DPM reader on the market. For more information about the DataMan 300 series of fixed-mount ID scanners, visit www.cognex.com/300.